Fun, classroom-friendly Catholic activities, worksheets, games, and lessons for catechists, teachers, and parents. Help Young Children Discover Jesus Christ by Studying the Events of His Life. Help Children Draw Closer to the Weekly Gospel with Our Unit Study Series Designed for Kids ages 6-10. 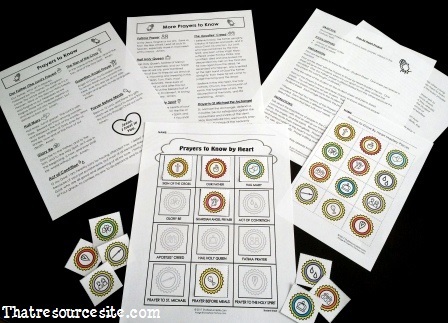 Plan a great celebration in your classroom, home, or Religious Education program. Available Party Sets include First Holy Communion, Confirmation, All Saints’ Day, Christmas, Nativity of the Blessed Virgin Mary, and Others. Encourage the Development of Handwriting Skills While Reinforcing the Catholic Faith in Your Classroom. Encourage learners to let their imaginations go free and enjoy learning using little books that can be created, written, and read. And don’t forget, mini-books are excellent proof of learning for just about any age and subject! A Must Have Planning Tool for DREs, Catechists, Teachers. Are you teaching children basic prayers this year? Find lots of fun and creative materials to help teachers, catechists, and parents teach young Catholics the basic prayers used in the Catholic Faith. 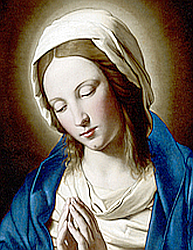 Encourage children to grow in their faith with fun printables that focus on the Blessed Virgin Mary. Our printables encourage students to learn about and reflect on life and love of the Mother of God.